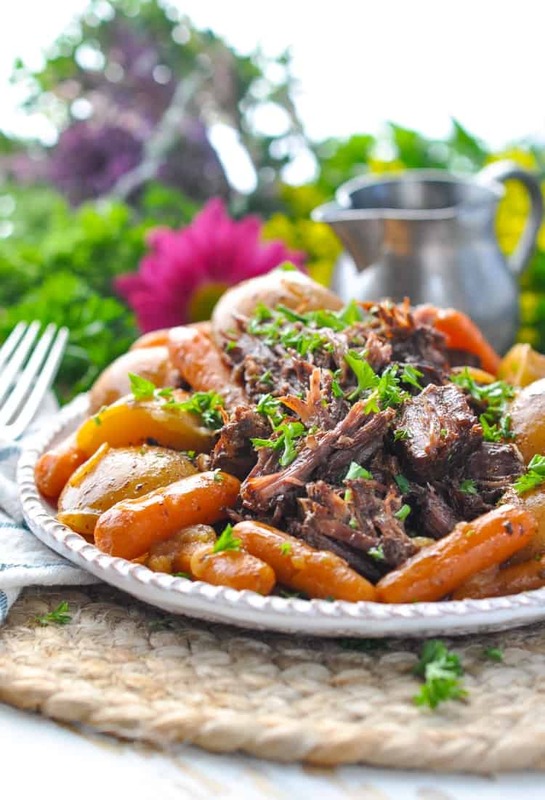 This easy dump-and-go Amish Chuck Roast Recipe comes from our neighbors, who make it a regular post-church meal on Sunday afternoons. 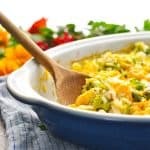 The one-pot supper is comfort food at its finest, and it works perfectly in a pressure cooker, in a slow cooker, or in an oven! This particular chuck roast recipe comes from our neighbors, who hunt, grow, and bake a lot of their own food. Even better? They share a lot of their homegrown food with us! That means that in the summer I regularly receive bags of garden fresh veggies over the fence, and in the winter we’re often treated to freshly baked rolls or bread. 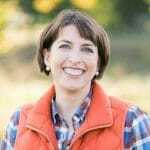 I’ve been making Mrs. Peachey’s Stuffed Peppers for years, so when Mr. Peachey shared this recipe with Keith last year, I instantly knew that I would give it a try. Mr. Peachey told Keith about their favorite roast recipe when he gave Keith one of his venison roasts. While I’m not big on venison, I knew that it would work equally well with a beef roast (and I was right)! 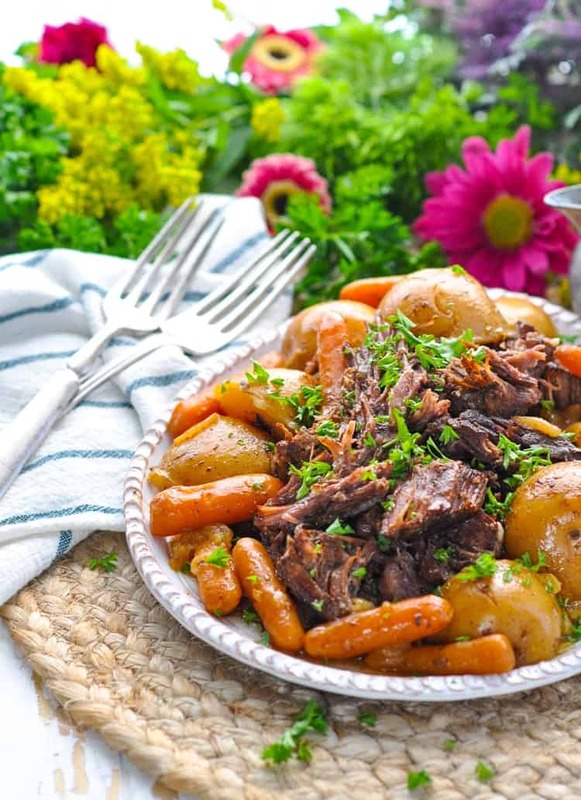 This chuck roast recipe is one of those gems that’s SO EASY you don’t even have to write it down — just grab a roast, some veggies, a packet of Lipton Onion Soup mix, and a bottle of Coca Cola! Since I’m WAY more comfortable preparing and eating beef rather than venison, that’s what I’m sharing here today. 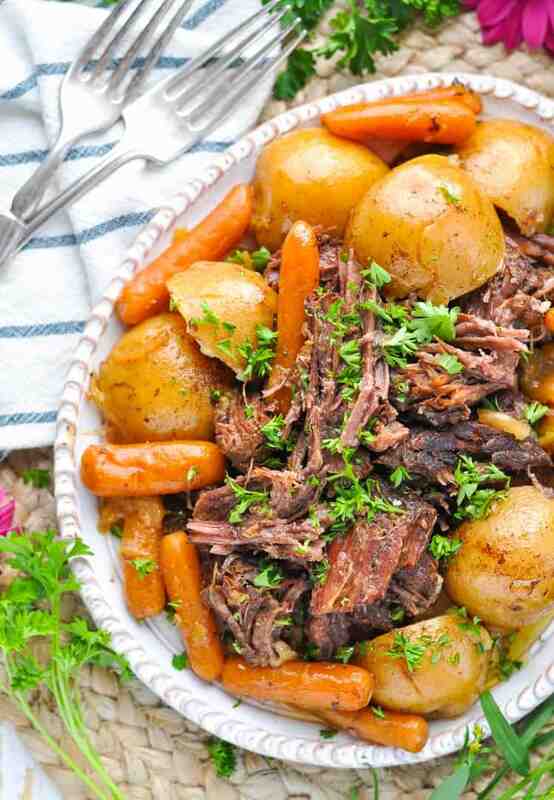 A chuck roast recipe that’s simple, convenient for your busy life, and absolutely delicious! I used my Instant Pot for the meat that you see here, and it worked incredibly well. Such tender, juicy, beef that literally melts in your mouth. The Peachey’s take advantage of their slow cooker in the same way, and the oven works too. Pick your favorite cooking method and go with it! Whether you serve it for a post-church meal on Sunday afternoon (like the Peachey’s do), or enjoy it on a cold weeknight (like us), this is comfort food that will make you feel cozy, nourished, and satisfied! Season both sides of the chuck roast with salt and pepper; set aside. 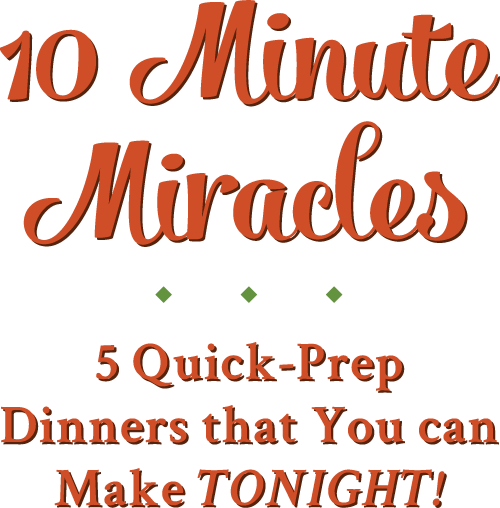 Add 2 tablespoons of olive oil to Instant Pot and set to "Saute." When oil becomes hot and shimmery, add pot roast and sear for 4-5 minutes on each side, or until browned all over. While the roast is browning, place onion, potatoes, and carrots in a large bowl (or in a large zip-top plastic bag. Drizzle with remaining 2 tablespoons of olive oil and sprinkle with dry onion soup mix. Toss to coat. Transfer seasoned vegetables to the Instant Pot and arrange around the roast. Switch Instant Pot setting to "manual" and set for 60-80 minutes on "high" pressure. I used 70 minutes for my 1.75-lb. roast, but you can adjust the timing according to the size of your meat. Remove roast from pot, slice, and serve with vegetables. Heat 2 tablespoons olive oil in a large pot or Dutch oven over medium-high heat. Place meat in the pot and sear it for about 3-4 minutes on each side, or until browned all over. Transfer the roast to a large slow cooker. Add seasoned vegetables to the pot and pour cola over everything. Cover and cook on LOW for 6-8 hours or on HIGH for 3-4 hours. Transfer seasoned vegetables to the pot and arrange around the roast. Cover tightly with a lid. Bake roast in a 350-degree oven for about 2 hours. The roast is done when it’s fall-apart tender! Nutrition information is calculated based on all liquid and cooking juices. If you strain the fat or omit the cooking liquids, nutrition information will vary. Silly question but is the caffeine still present when this is made? What would be a good caffeine free substitute, root beer? Hey, Linda! Not a silly question — I honestly don’t know how the cooking process affects the caffeine content in the soda. If you want to err on the side of caution, root beer would be a great substitute! Evidently the caffeine doesn’t cook out, according to Google. Hi! Do you think I could freeze the leftovers? Hi, Fallon! Yes, the leftover meat freezes really well! I’ve never tried freezing the veggies, but I imagine they would be fine, but the texture would probably change a bit. In the oven directions you left out the coca cola, but I would think it’s the same for the other methods. I will pour it over the roast before I cover it. I’ve never thought of using the dry onion soup mix to season the veggies. I’ve always just sprinkled it on the roast. this sounds interesting. Hi, Janiece! Thanks for letting me know about that typo (I fixed it now). 🙂 I hope that you enjoy the roast! 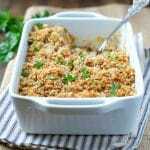 I put the soup mix over diced up yukon potatoes an bake them such a great flavor and side dish. Great idea for a side dish, Maureen! Thank you! I used Diet Coke, and it came out perfectly. Great to know! Thank you, Michael! Am trying this tonite…probably the oven way…sounds delicious! Can you substitute beef stock for the cola? I find it humorous from an entirely non – food related aspect to see a recipe promoted as “Amish” one wherein said Amish members are using slow cookers. As an Amish born and raised member of their church less than a period of 3 years past, pure facts make it an interestingly controversial statement. The recipe itself is, however, quite satisfactory. I recognize key ingredients which are quite similar to a recipe shared by family many years ago. Years ago a friend dropped off a pot roast meal for me after a sudden illness. It was amazing, and she mentioned it had cola in it. 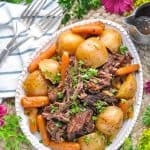 I was searching for some pot roast ideas to change up what I typically prepare in the slow cooker. I live close to an Amish community in Pennsylvania so its unique to learn cola is actually used. I know birch and root beer made by the Amish is non carbonated so maybe try that as an option instead (root over birch for flavor). 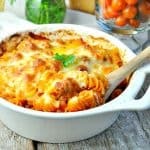 Going to make this recipe next week in my meal rotation. Does this recipe leave enough drippings to make gravy? Hi, Paula! Yes, I think it should! I hope this question isn’t too silly. I have a 5 lb. roast in the freezer, can I just multiply the other ingredients by 2.5? I’d use the oven method due to the size of the meat and vegetables. Looks great and can’t wait to try it. 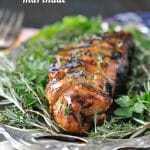 I have a pork loin recipe that is basically coke, onion, and garlic cooked in the oven and comes out very nice and tender.